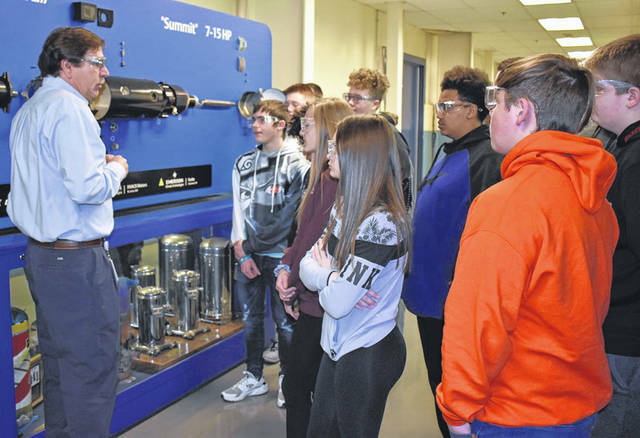 Tim Williams, quality assurance manager at Emerson, talks to a group of Sidney High School freshman about how a compressor works, recently. The students toured the manufacturing plant during an Emerson We Love STEM program in conjunction with the Workforce Partners of Shelby County. Sixty students visited several companies.